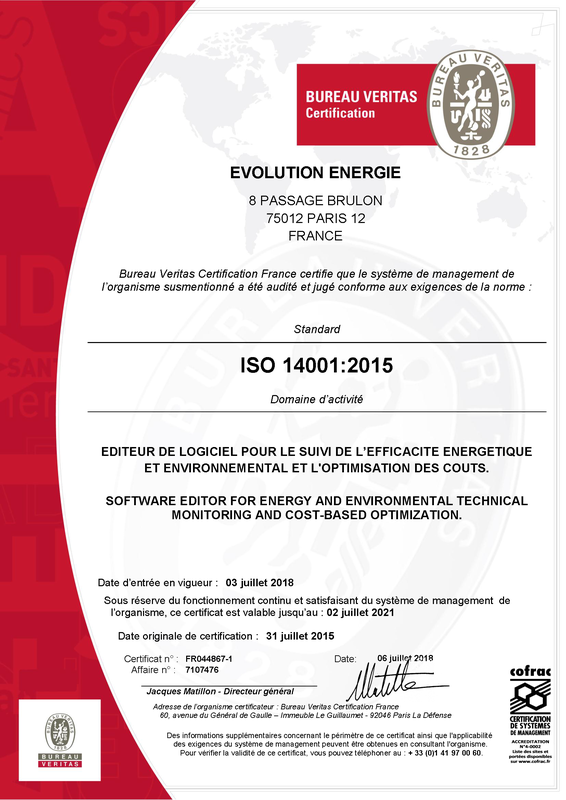 We aspire to be a key player in energy management software. We can achieve that goal by satisfying our customers and by continuously improving our organization. We also aim at reducing our own environmental impact. Our values, methods, and roles are clearly defined to match those objectives. All employees are involved in the process and regularly trained. The Quality and Environmental System is continuously driven and measured by indicators, customer feedback, and audits. The system is also reviewed yearly by the quality steering committee. The Quality Manager is in charge of coordinating and monitoring those activities. 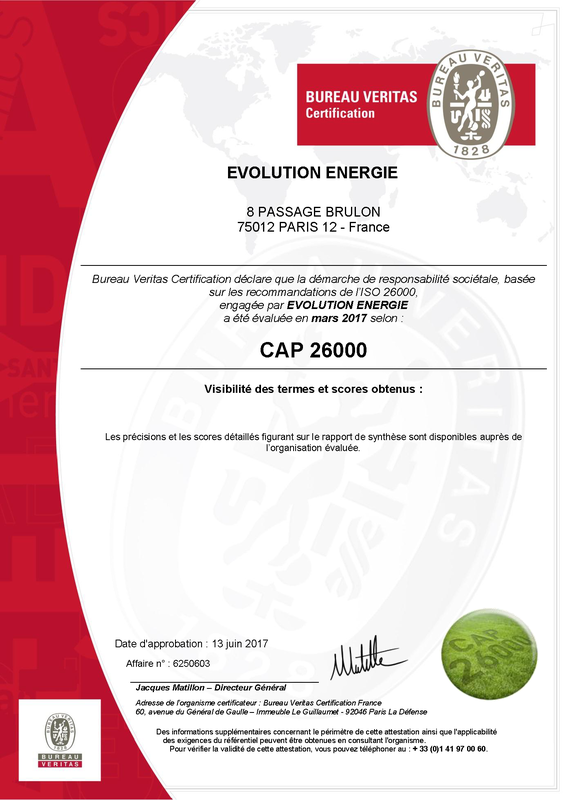 Evolution Energie is certified under ISO 9001:2015 and ISO 14001:2015 standards and achieved a 3,7/5 score in ISO 26000. Our focus on quality is therefore a priority and a strategic commitment from our executive team and for all of our employees. Our system is aligned with ISO 50001 standards. We can aid your company in reaching this level of efficiency as well, helping you earn the certification.